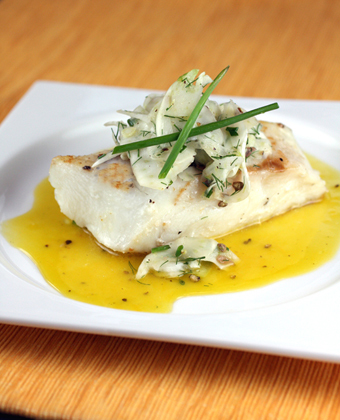 Halibut cooked in olive oil — a lot of it. Yes, this recipe uses a lot of olive oil. Yes, you’ll wonder what to do with all that oil afterward. Yes, you can strain it, store it in the fridge and re-use it. But yes, it may taste fishy. That’s because you’ve poached halibut in it, creating a warm, bountiful bath of olive oil to cook it gently and slowly until the flesh is moist and incredibly silky. Best yet, it’s almost impossible to overcook the fish with this oven method. 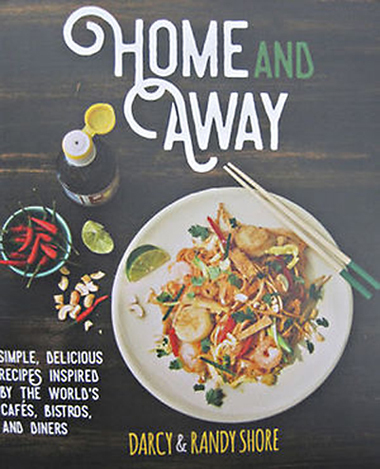 The recipe is from the new cookbook, “Home and Away: Simple, Delicious Recipes Inspired by the World’s Cafes, Bistros and Diners” (Arsenal Pulp Press) by Darcy and Randy Shore, of which I received a review copy. 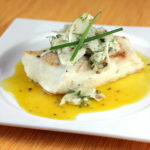 I couldn’t wait to make this recipe after Daily Fresh Fish sent me a sample of Alaskan halibut to try. The online seafood market was launched last year by Hayward’s Pucci Foods, which was established in 1918 by Joe Pucci, an Italian immigrant. Pucci Foods has long supplied restaurants and retail stores. Now, it’s making that same seafood available directly to consumers. The company, which sources seafood from all over the world, has a sustainable seafood certification from the Marine Stewardship Council. It also follows the Monterey Bay Aquarium’s Seafood Watch Guide and the NOAA Fish Watch Program. While the halibut cooks, submerged in all that olive oil, make the chermoula by pulsing in a food processor cracked chilies, garlic, red onion, cilantro, parsley, olive oil, lemon juice, and ras el hanout. You can buy that Moroccan spice blend in well-stocked grocery stores. Or make your own with the recipe that’s included below. 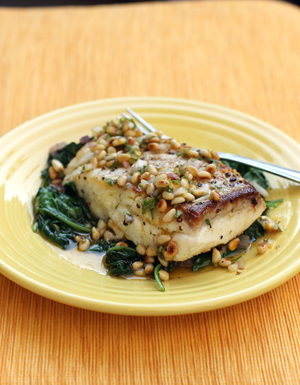 Halibut is mild-tasting on its own. This thick, creamy sauce wakes it up — without overwhelming it — with the warmth of spices kissed with fresh herbs and garlic. You can control how spicy you want it, too, by adding more or less of the chilies. If you have any leftover sauce, it’s fabulous the next day cooked into scrambled eggs for breakfast. And just think, you can use some of that leftover olive oil to cook those eggs in, too. 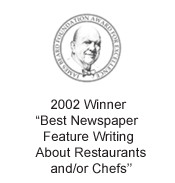 CONTEST: One lucky Food Gal reader will win two free orders of Alaskan halibut (four 6-ounce fillets; a total value of $33.98), plus two free containers of Fisherman’s Stew (two 22-ounce containers; a total value of $19.98) — all from Daily Fresh Fish. I had a chance to try the rich, tomato-y stew that is chock-full of cod, clams, shrimp and crab. It’s got a splash of milk in it to give it a slight creamy body, plus just a touch of spiciness on the finish. 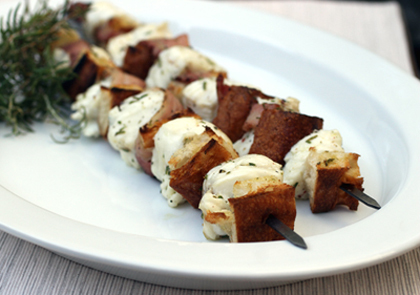 It’s so full of seafood flavor, it’s practically a restaurant-quality dish in and of itself. Fisherman’s Stew from Daily Fresh Fish. Entries, limited to those in the continental United States, will be accepted through midnight PST April 22. 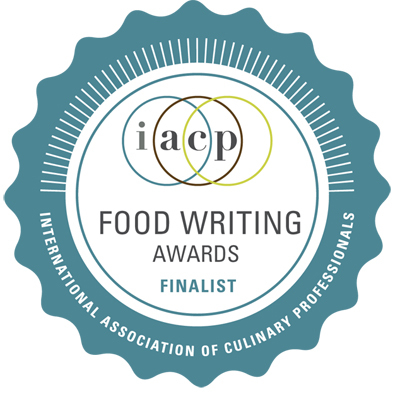 The winner will be announced April 24. Just tell me something you did for the hell of it (or hal-i-but — get it?). It doesn’t have to be food-related, either. Best answer wins. Preheat the oven to 250 degrees. Season fish on all sides with salt and place in a small baking dish. Let stand 15 minutes. 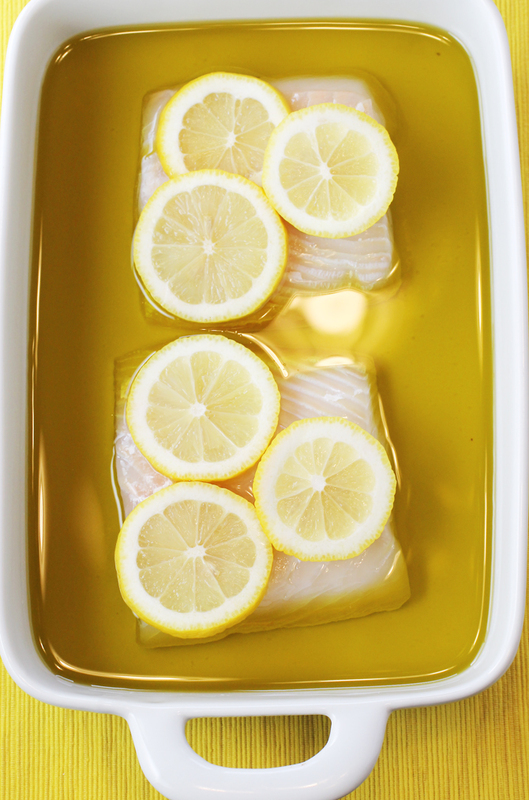 Pour olive oil over fish, cover with lemon slices. cover dish with foil and bake until flaky, about 1 1/4 hours. 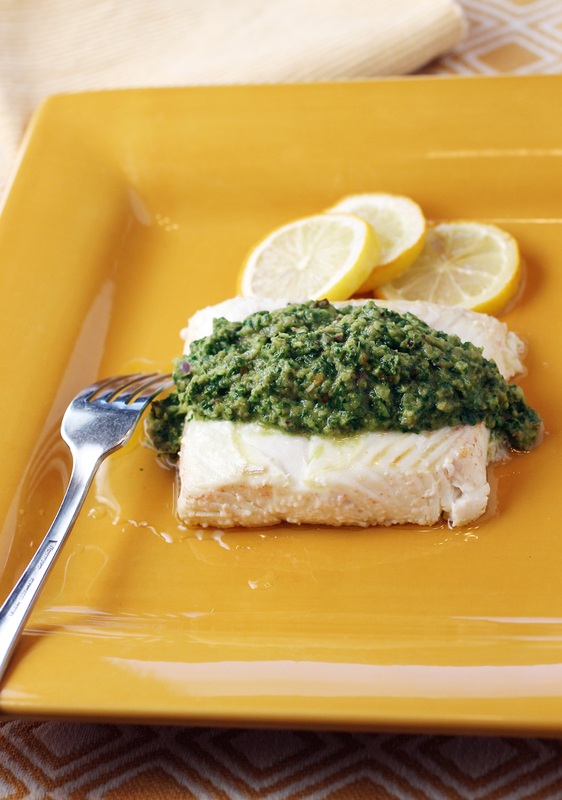 As fish cooks, make the sauce by placing all chermoula ingredients in a food processor. Lightly pulse all ingredients. 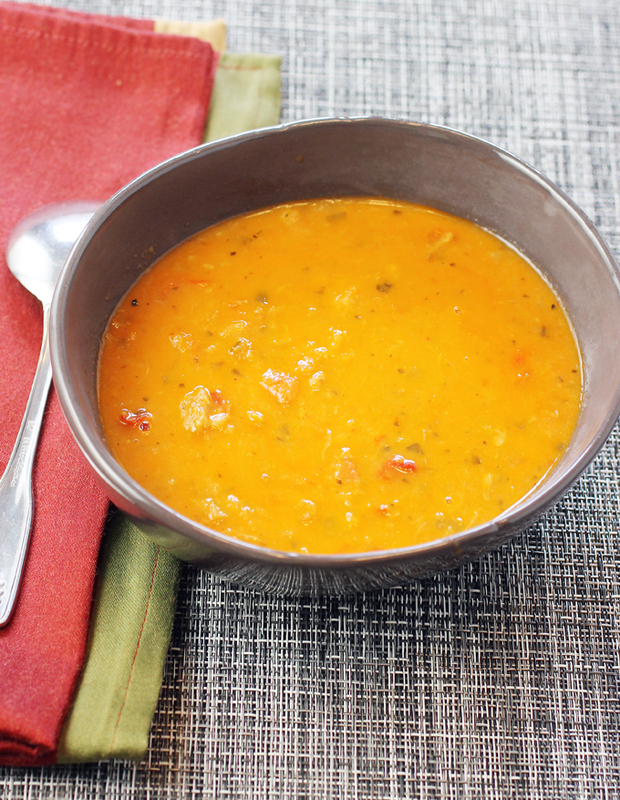 Place in a bowl and let stant for 1 hour or overnight. (Makes about 1 cup.). 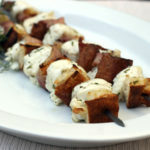 Using a slotted spatula, remove halibut from the olive oil to serving plates. Top with chermoula. Combine all ingredients in a small jar, secure lid, and shake. The spice mix can be used on grilled meats, vegetables, and in sauces. My partner and I bought a small olive grove and are now making our own olive oil, just for the “halibut”! I too have a hair story. I once thought it’d be fun to bleach my black hair. So I enlisted the help of a friend to help me do it. Unbeknownst to apparently all of us, when you have black hair you can’t just bleach it once and have it come out white, which I found out the hard way. So I had a full head of BRIGHT orange hair. And was leaving the next day for a San Diego/Mexico trip with some friends. I got plenty of stares that weekend, to be sure. It was an interesting weekend to say the least. And I’ve said nothing about the goings-on of that weekend, and I will not do so here. I was still living at home with my folks at that time, and worried they would have kittens if they saw my orange hair, I very quickly had a friend help me dye it back to black before they were the wiser. That was the end of my adventures dying my hair. Still, it made for a great story (and at least a month or two of flaky scalp). Went and sang Karaoke just for the Hal-ibut! To my great surprise, I did much better than I thought and now I am more encouraged to try new things! I’ve poached fish in olive oil before — neat way to do it! This looks terrific — a halibut of a good meal (groan). That’s easy. I decided after two years of college (age 19) that I wanted out of our small town in Idaho and out of my failing current relationship. I packed up and flew to California which was 900 miles away — I had no job, no car, and no place to live lined up beforehand. This sounds too stupid to be true (but it is) — the way I chose where I was going to move to was a song I heard on the radio — Do You Know The Way to San Jose by Dionne Warwick. So, for the hal-i-but, that’s where I went! I stayed at the YWCA for awhile, found a pretty good job in a short time, and met my future husband the first month I was there. It was an absolutely insane thing to do and I would be horrified if one of my kids even thought about it, but it all worked out for me in the end! I’ve never regretted it. ROTFLOL : I’m thinking this would be a good thing to try with my new Anova sous vide so I open the app to get an idea of cooking time and temperature. Who pops up? Carolyn Jung has one of the 4 recipes in the Anova App! Of course, I still have to choose a time and temperature. They’re mostly 30 minutes but range from 122F to 132F… I’ll probably try 122F. Bob: Small world, huh? 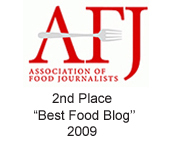 Yes, I was one of Anova’s recipe developers awhile back. Was fun to play around with sous vide. 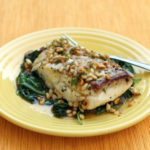 Halibut is one of my favorite types of fish, but it’s always hit-or-miss with me. I tend to overcook it, so this method is intriguing to me. I’m going to have to try it. I will send you some of my olive oil! !